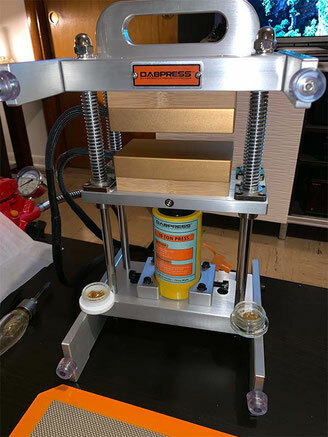 Dabpress new 10 ton drip tech rosin press machine is awesome, if you got the material, get one. You won’t regret it. I did two presses tonight. Both started with 8 grams. Citrix gave 1.7 grams and the other, Tangie haze x the white gave back .8. I pressed both about 3 minutes at 195.